If you have watched a YouTube video lately you may have noticed an i icon appear in the top right corner on the site like on this video here. 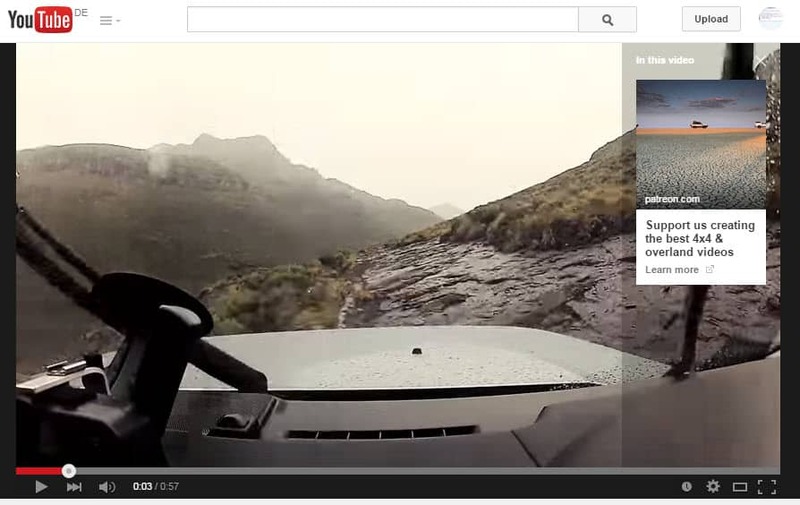 This is YouTube's new Cards feature that the company sees as an evolution of annotations. 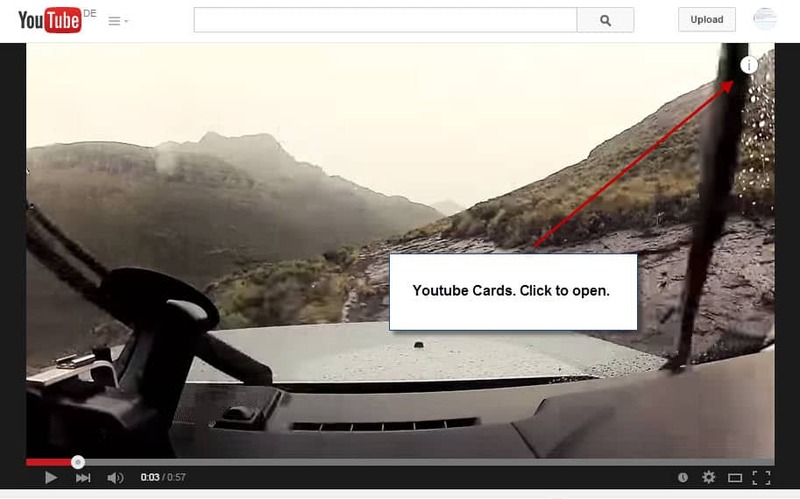 A click on the icon opens a card which displays additional information related to the video and added by the maker of the video. 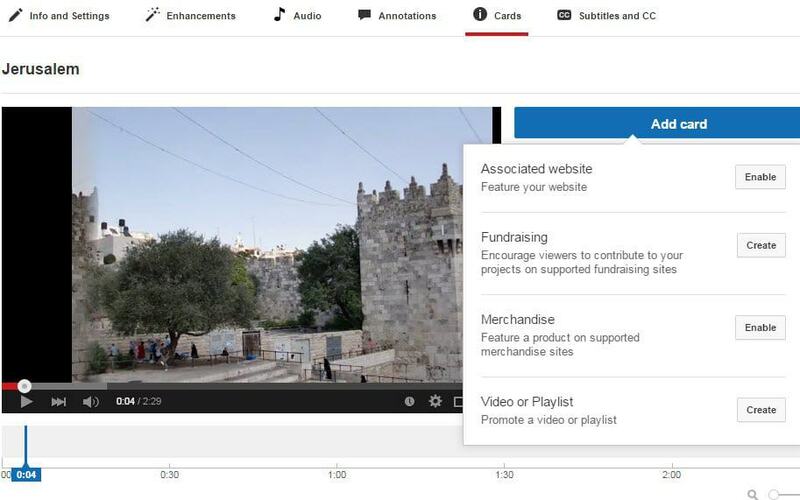 According to YouTube, five different types of cards are currently supported on the site: merchandise, fundraising, video, playlist and associated website. All have in common that they link to something. Website, video and playlists are probably the easiest as they are used to link to an external website, another video or a playlist. Merchandise is similar to website but with the difference that it links to a shop where an item can be purchased. Fundraising finally links to fundraising websites, for instance to Patreon or Kickstarter. Here are two screenshots that highlight a fundraising card. Open the Creator Studio on YouTube. You can do so manually with a click on your profile icon and the selection of Creator Studio, or by clicking on this link directly. Once there click on Video Manager and there on edit next to one of the available videos. Cards is a new option on the page that opens up. Click on it. Click on Add Cards on the page and select the card that you want to add to the video. When you select fundraising or merchandising, you are informed that only some external links are currently permitted. The full list of permitted sites is available here. This restriction does not apply to linking to an associated website. While that is the case, you need to agree to YouTube's external links terms and conditions before you can add a site. It states that the site you are linking to needs to comply with AdWords policies, YouTube ads policies and YouTube community guidelines. One interesting aspect of Cards for creators is that they work on mobile as well. The Cards icon is displayed at all time in the upper right corner. It is likely that video creators can change that but in the worst case, it appears all the time on the video screen. Individually by clicking on the cog wheel icon on the video page and switching Annotations to off. Permanently by disabling (all) annotations in the settings under Playback. When you do that, the i icon is not displayed anymore. Cards provide creators with additional options to link to content that is important to them. Expect lots of videos to make use of the feature in the near future. YouTube launched a new cards feature on YouTube that displays an i icon in the top right corner of videos Cards have been added to. Its bad enough we’ve got the annotations the way there are. If I’m asked one more time to “like” and “subscribe to my channel” in regard to some stupid dancing cat video someone linked to me in Facebook… Ads for something I’ll NEVER buy or even consider before I watch a 1950’s tv rerun? The “new” autoplay feature? Yes you can disable it unless you treasure some semblance of privacy and clear your cookies. Currently got it knocked out with Greasemonkey but who knows how long that’ll last. Now this! HOORAY!!!!! Is it time for a serious alternative to youtube yet? Along with doing other things, YouTube Center works quite well. Sorry, but it’s not working to me. I managed to run Windows 10 in a virtual environment (after a few hours of work) since my hardware manufacturer doesn&apos;t bother to update my g41 chipset (that&apos;s why i still can&apos;t run anything after Windows 7). Coming to VLC it&apos;s the best player I&apos;ve used on a windows pc and i surely recommend everyone to try it. Just think about the 15 USD DVD player app for Windows 10. This is waaaaaaay better than that.